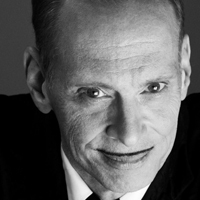 American filmmaker and writer John Waters is the successful creator of several cult-classic films, including Hairspray, Pink Flamingos, and Cecil B. DeMented. He has been awarded the Jack Smith Lifetime Achievement Award by the Chicago Underground Film Festival, and his film Hairspray has been adapted into an award-winning Broadway musical and 2007 film. Waters has published several collections of photographs and writings, including Role Models (2010), Unwatchable and Shock Value.